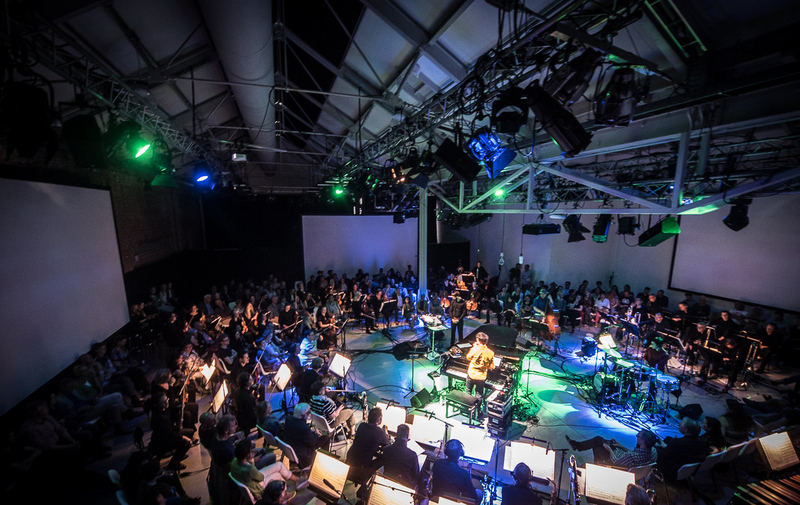 This year the Metropole Orkest will perform at November Music, an annually returning international festival all about current music. The festival takes place at a couple of different locations in ’s-Hertogenbosch. Their motto is: ‘Nowadays music by nowadays makers’. Before the break, Tin Men and The Telepohone will appear on stage together with Metropole Orkest. This will be an interactive concert experiences in which audience participation and improvisation play distinct roles. The second part of the concert it is Cory Henry’s turn. The second part of the concert, Cory Henry will perform with the MO. The American jazz organist and pianist, gospel musician and producer is known for his own formation The Funk Apostels, for the power jazz formation Snarky Puppy and is now also doing solo performances. Earlier this year he won a Grammy with his band Snarky Puppy for their newest album. Both of the concert parts will be unique but will also join eachother perfectly. Together they make for a very special evening.